Webber Park	Webber Park is a beautiful and active neighborhood park that includes a variety of fun recreational opportunities. Food Truck Permit: City of Minneapolis licensed food truck operators can apply for a one-day permit at this park. View food truck permit details. Name: The park was named for Charles C. Webber in 1939. Until then, from the time of its acquisition in 1908, the park was named Camden Park after the neighborhood in which it is located. The neighborhood was likely named after Camden, New Jersey. Charles and Mary Harris Harris Webber donated money to build the swimming pool and community center at Camden Park in 1909. 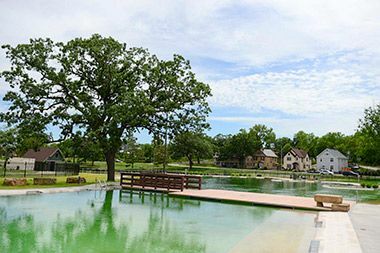 The pool was named the John Deere Webber Memorial Baths to honor the Webber’s son, who had died at the age of 9. The Webbers also paid to renovate the facility in 1927. Charles Webber was the grandson of John Deere, who founded the tractor and farm implement company of that name. Webber ran the Minneapolis branch of the John Deere Company, one of five branch offices of the company, and became vice president of the company. Acquisition and Development The first mention of a park in the Camden neighborhood was in 1891, when William Folwell recommended acquiring land on both sides of the Mississippi River upstream from Camden because that was where the city’s water supply was taken from the river. Folwell’s goal was to protect the water supply from pollution. With a shortage of funds throughout the 1890s and few park acquisitions, the park board awaited better times before it would acquire a park in the area. The first land designated for a “Camden Place Park” was in May 1905 when the park board selected land along Crystal Lake Road for a park at a cost of $34,500. The acquisition was abandoned later that year in the face of protests from property owners in the area. The issue of a park in the area came up again in July 1908, when the park board designated land for a new Camden Park. (At the same meeting the board designated Lake Amelia (Nokomis) as a park.) The land was to be acquired by condemnation. In October of that year, the board initially approved awards of $52,000 for the 21.5 acres of land it was taking and officially named the park. However those awards weren’t finally confirmed by the board until early 1909 due to many objections to the amounts awarded for the land. The cost of acquiring the park was assessed on “benefited property,” or land in the vicinity of the park. 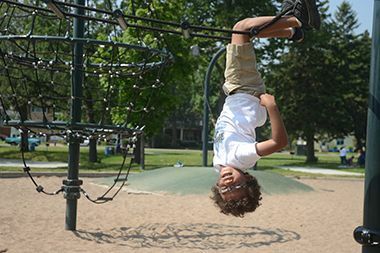 The neighborhood was bitterly and evenly divided over establishing a park in the neighborhood and having local property owners pay for it. Many petitions on both sides of the issue were presented to the park board. Two business leaders in the community, druggist Thomas Voegli and banker Francis Gross, were among those who favored the park, and both later became influential park commissioners. Although the park board did not finally confirm all awards for the land until early 1909, park superintendent Theodore Wirth reported in his 1908 annual report that he had already built a dam across Shingle Creek in the park to provide a pond and skating rink for the 1908-1909 season. There is no record in park board proceedings that the board had approved such action. In April 1909, Charles and Mary Harris Webber offered to construct a recreation building in the park at their expense, which was to include an outdoor swimming pool fed by the water of the creek. Their proposal, complete with a design for the building by architects Long, Lamoreaux and Long, included an offer to build a second floor onto the building only if the Library Board would use it as a branch library. The Webbers asked that the building be named in honor of their son, John Deere Webber, who had died at the age of nine. The Webbers’ offer included two stipulations: one, that the park board construct an outdoor gymnasium (playground) for boys and girls and, two, that a permanent dam be built a across Shingle Creek to provide water for the pool. The new playgrounds were constructed early in 1909 and were included in the playground program supervised by Clifford Booth that summer. The recreation building, dam and pool were completed in time for the pool to open for the summer of 1910. From its opening, the pool offered separate hours for boys and girls swimming. The library board had agreed to operate a branch library from the building, so the second story was built. The acquisition of Camden Park not only added a large park to north Minneapolis; it was also a critical step in the development of the “Grand Rounds.” In his 1891 report to the park board on expansion of the park system, William Folwell had urged the expansion of Saratoga (Wirth) Park and the acquisition of large parks in the northwest and northeast sections of the city, which would all be connected by a parkway. Folwell proposed the name of “Grand Rounds” for that parkway. Columbia Park had been acquired in 1892, shortly after Folwell’s recommendation, to provide the northeastern park to anchor the Grand Rounds. And Saratoga (Wirth) Park had been expanded greatly in 1907. The last piece to the Grand Rounds puzzle was Camden Park. True to Folwell’s vision for the Grand Rounds—for which he gave the credit to landscape architect Horace Cleveland—shortly after Camden (Webber) Park was acquired in 1909 the park board asked park superintendent Theodore Wirth to prepare plans for a parkway from Glenwood Park to Camden Park. One hundred seventy acres of land for that parkway (see Memorial Parkway) were selected by the park board in the summer of 1910, and acquired the following year. Construction of the parkway was not completed until 1921, at which time plans had also been drawn to build the parkway from Camden Park to Columbia Park across the river. The pool at Camden Park was an instant hit particularly with children, who were the primary users of the freshwater pool. At the end of its first summer of operation a water carnival was held at the pool and pond in which 500 boys participated. An evening men’s carnival drew a crowd of 5,000. 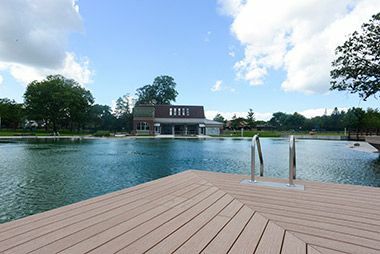 The next summer the Camden Park Carnival featured canoe races and log-rolling on the pond as well as swimming and diving contests at the pool. The outdoor gymnasiums were also in heavy use and they hosted a city-wide gymnastics meet in the summer of 1911. The one thing missing from Camden Park was space for ball fields. In 1917 Theodore Wirth proposed the acquisition of land north of Camden Park and also an extension of the park east to the Mississippi River. (Many years later some of the land along the river was acquired for North Mississippi Park.) Some of that land was designated for a park in 1917 and again in 1919 and 1922, but all those efforts were abandoned. In 1918, as plans were being developed for St. Anthony Parkway from Camden to Columbia, Wirth drew a plan for an ornamental concourse that he called Camden Center which would have provided an attractive “entrance to the city” at the intersections of Washington and Lyndale Avenues and the parkway where it headed across the Camden Bridge. It was one of many park plans that would have greatly improved the city if it had been implemented. By the mid-1920s the damming of Shingle Creek had led to a build-up of deposits in the lake formed by the dam and dredging was required to improve the flow of the creek. In 1927, Charles and Mary Webber made another significant contribution to renovate the park and the pool. The increasingly polluted water of Shingle Creek was no longer considered an acceptable source of water for the pool, so city water was used and an appropriate building was constructed to house circulation, filtration and chlorination systems. A picnic shelter was also built north of the pool and the combination field house and library. With those improvements, attendance at the pool soared. In the summer of 1927 more people used the John Deere Webber pool than any of the bath houses on city lakes, although the park board calculated that the practice of using lake beaches without using the bath houses was prevalent. Most of the swimmers at Camden were children, who never had to pay an admission fee to use the pool or the changing rooms. Official attendance figures for the Camden pool in 1934 showed that about 1,500 children under the age of 14 used the pool every summer day. In 1932 the first city-wide swimming competition was held at the pool, which may have added to the pool’s popularity. 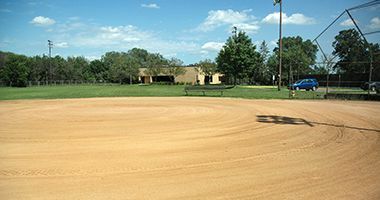 In the 1940s, two significant additions of property extended park holdings on both sides of WebberPark, which had been renamed in 1939 to honor the contributions of Charles and Mary Webber. In the early 1940s, the park board finally acquired land east of WebberPark along the Mississippi River, the first land of what became NorthMississippiPark and in 1946 the park board acquired the valley of Shingle Creek north of WebberPark to the city limit. The latter acquisition was at the request of the city council, which wanted the park board to acquire the bed of Shingle Creek and lower the creek to drain surrounding land so that it would be dry enough for housing development. With the subsequent growth of housing north of the park, the library on the second floor of the field house saw increasing demand. In 1953 the library took over the entire building. The library board paid for remodeling the first floor of the field house for library use and for conversion of the existing picnic shelter in the park into a warming house for skaters on the pond. Other than some improvements to the creek and playgrounds in the 1930s with federal work relief funds and crews, the park remained essentially as it had been following the 1927 renovation until 1959. As part of the efforts to lower Shingle Creek to drain land north of Weber Park, the creek through the park was relocated. Playground equipment was moved for a new channel, the old channel was filled and the lagoon was enlarged. Renovations to the park and playground were completed in 1962 and 1963, including an eight-foot wall along the west bank of the creek where the banks had eroded. The cost of the renovation was assessed on property in the area. 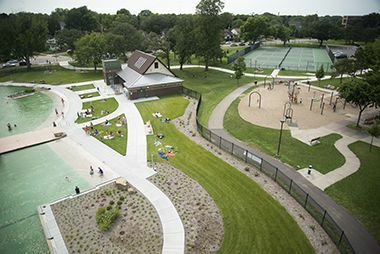 In the 1970s, in the middle of a building boom in Minneapolis parks that saw the construction of a new recreation center in most neighborhood parks, the park board decided to relocate the pool and build a new recreation center. Construction of the new pool and recreation center west of the creek were completed in 1979. At about the same time, a new waterfall was added to the city at Shingle Creek just east of the park. As part of the settlement for the state highway department to take part of NorthMississippiPark for I-94, the bed of Shingle Creek was lowered to go under the new freeway, which required lowering the creek bed. A man-made waterfall was built to do that. 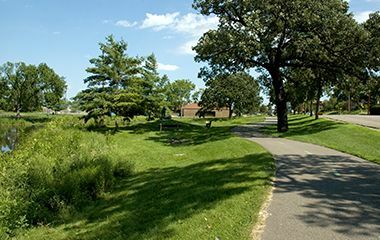 As part of its efforts to improve water quality in all city lakes, the park board implemented plans to create a 16-foot native wetland buffer around Webber Pond as part of larger park renovations in 2003-2004. 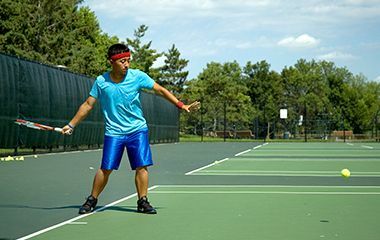 The park’s basketball courts were replaced in 2008 and new HVAC systems, roof and windows were installed that year in the rec center to improve energy efficiency. 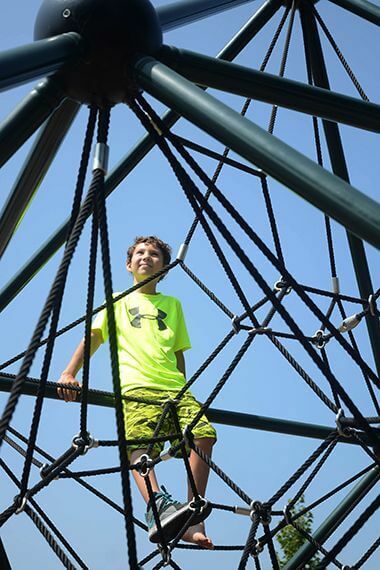 A new master planning process for the park began in 2011 and included extensive community engagement. The new plans addresses the community’s desires for the park especially in light of extensive damage to the park by a tornado in May 2011. In 2013, a Nice Ride bicycle rental kiosk was installed at the park. Arbor Day was celebrated at the park in 2014. More than 300 trees were planted in the park and along Shingle Creek. 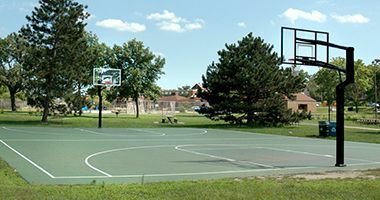 The basketball court was resurfaced in 2015. The Webber pool, which was closed in 2010 due to structural and mechanical concerns, was replaced with a natural swimming pool in 2015. It became the first public natural swimming pool in North America when it opened on July 24, 2015. The 21,000-square-foot pool uses a cutting-edge system of biological treatments to clean its water instead of traditional chemicals. In 2016, pool hours expanded to six days per week and it was converted into a skating rink over the 2016-17 winter. There is no admission charge to use the pool or rink. The basketball court was resurfaced in 2015 as well. A solar power installation was installed near the pool in 2016 to help offset energy costs. History through 2008 written by David C. Smith, with updates from 2009 to present written by MPRB. 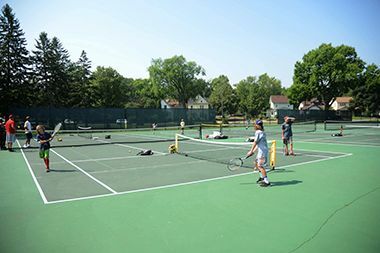 Webber Community Center offers programming year-round. 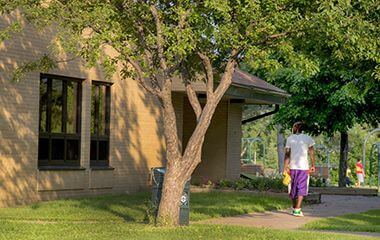 Webber Park is a beautiful and active neighborhood park that includes a variety of fun recreational opportunities. 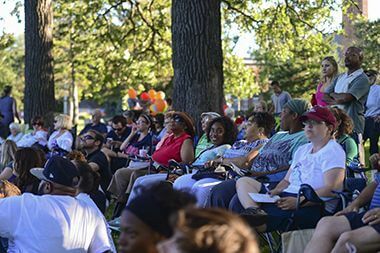 Connect with the neighborhood at park events. 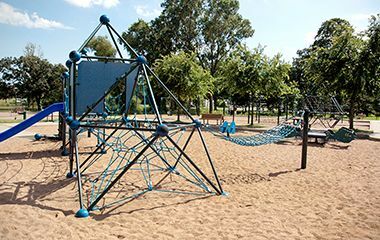 Webber Park features both a full size playground and a tot lot for the smallest family members. 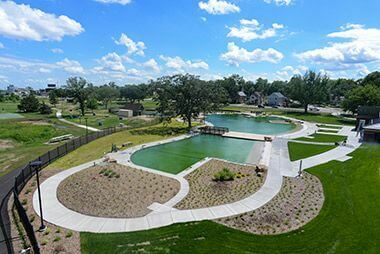 Webber features the first public swimming pool in North America to have a natural filtration system that uses plants in a nearby pond rather than chemicals to treat the water. Enjoy a shady stroll along Webber Park's paved walking trails next to Shingle Creek and the Webber Pond. 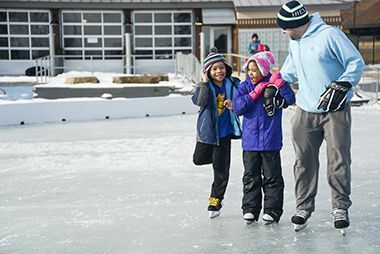 Webber Park offers outdoor programming year-round with ice skating in the winter.